In the Third Age of Middle-earth, the old and powerful Wizard Gandalf and his Company of Dwarves came upon a troll lair in Rhûdaur. The sword named Glamdring was forged by the high Elves of the West, in the hidden city of Gondolin. 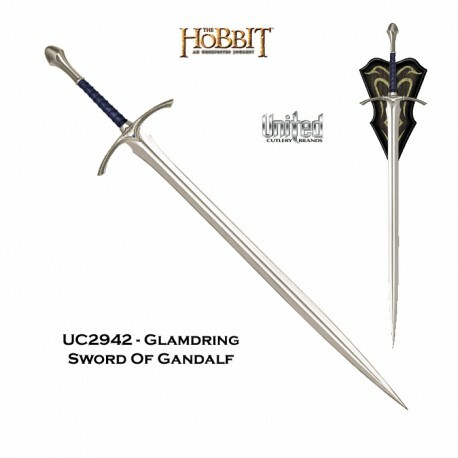 Glamdring survived, only to be found thousands of years later by Gandalf and his companions. 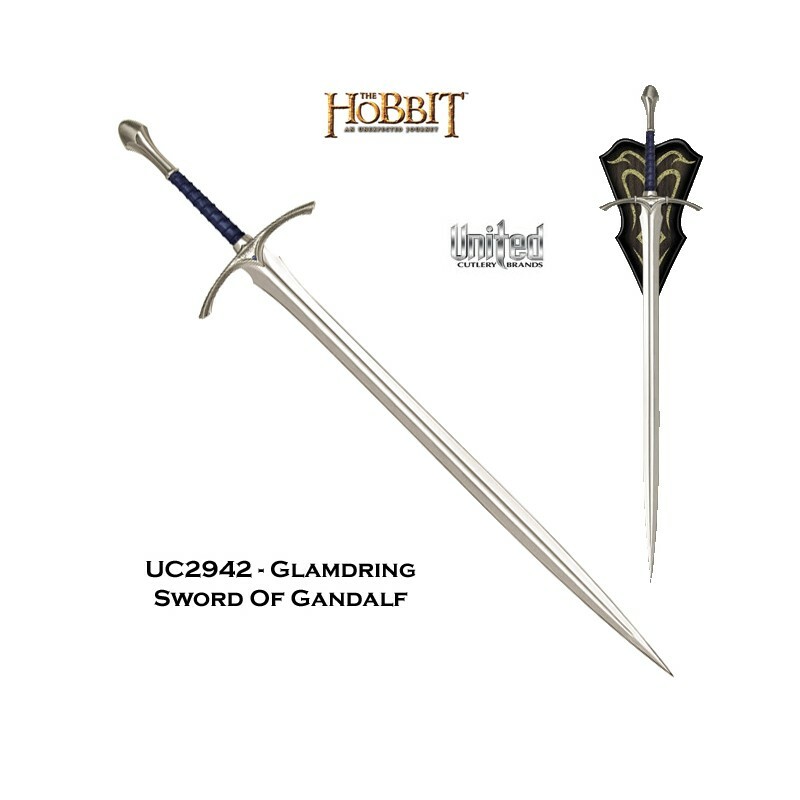 This authentically detailed replica is a reproduction of the actual filming prop built by Weta Workshop of New Zealand and used in the motion picture, THE HOBBIT: AN UNEXPECTED JOURNEY. United Cutlery, industry leader in fine movie reproductions, has meticulously recreated the prop using only the finest grade materials and craftsmanship. Close attention to detail was a top priority. The Glamdring sword is 47 5/8 overall, featuring a 35 1/4" stainless steel blade, solid metal hilt parts, faux blue jewel inlays, and a genuine leather-wrapped grip. It is presented with a wood wall display and includes a certificate of authenticity.